Summer is fast coming to an end, and I wanted to make something that would spread some of the summer cheer into the rainy days of Fall. We made a wind chime! 1. 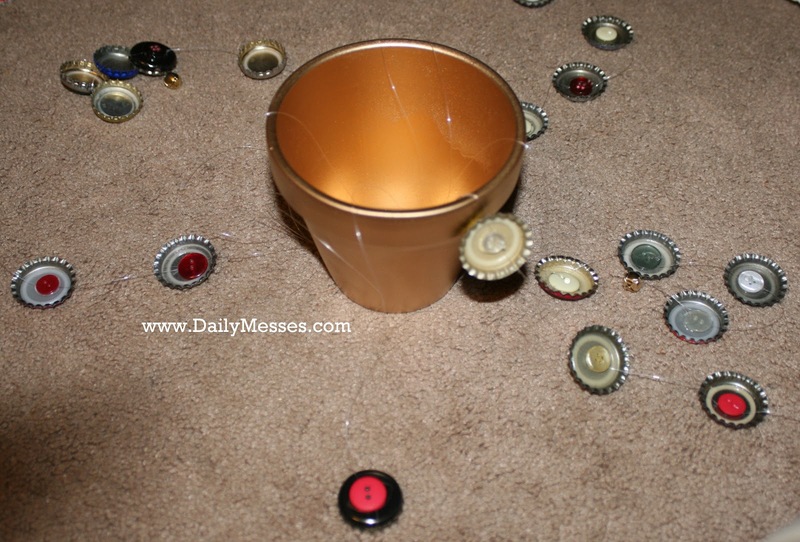 Paint pot and bottle caps (optional) and let dry. 2. Cut 18" pieces of fishing line. 4. 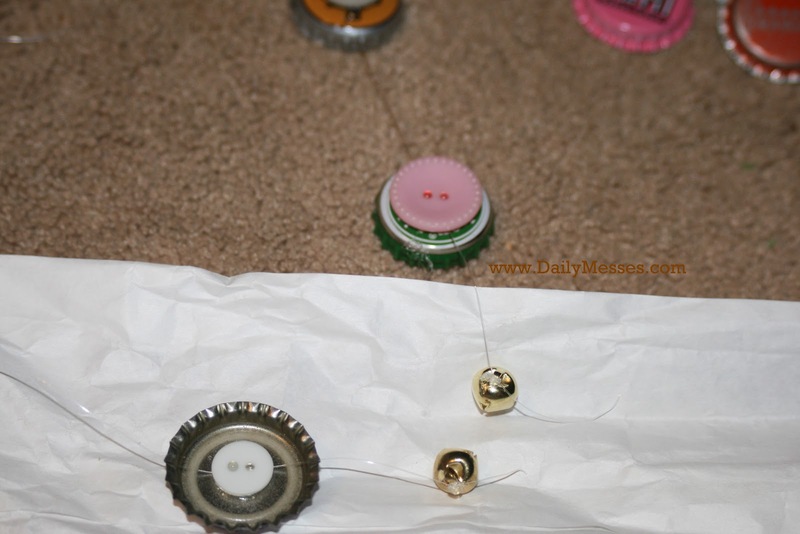 Place a dot of hot glue on the top of a bottle cap, place string on top, and then place a button. 5. Make about 5-6 caps on each line. 6. Thread all the strings through the large button and tie into a knot. 7. 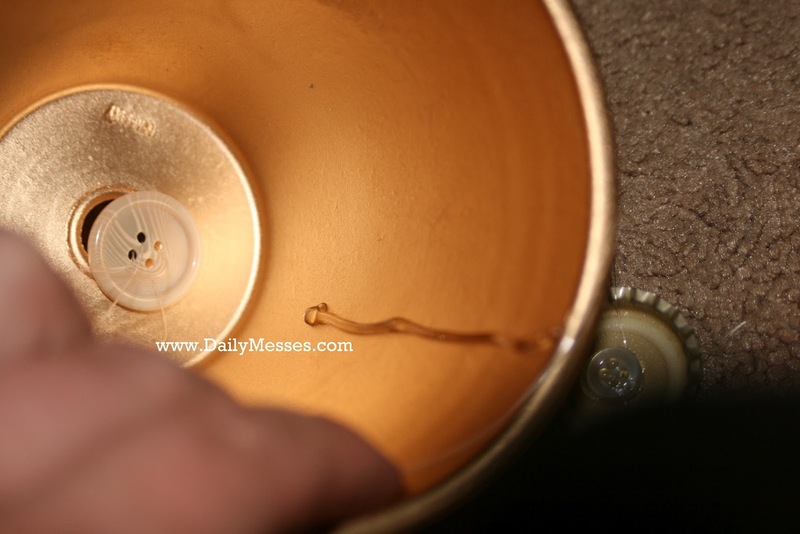 Push strings through drainage hole in pot and tie another knot at the top (to hang the wind chime). 8. To make sure the strings don't all hang in the middle, hot glue the string to the inside of the pot. Make sure to space evenly around the pot. I used some bottle caps from adult type of beverages. 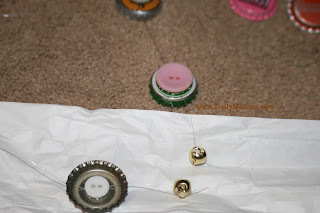 For those bottle caps, I glued the button/string to the top of the cap. On the vintage type of caps, I wanted the tops to be seen, so I glued the button/string to the back of the cap. Brilliand idea! Thanks for sharing. 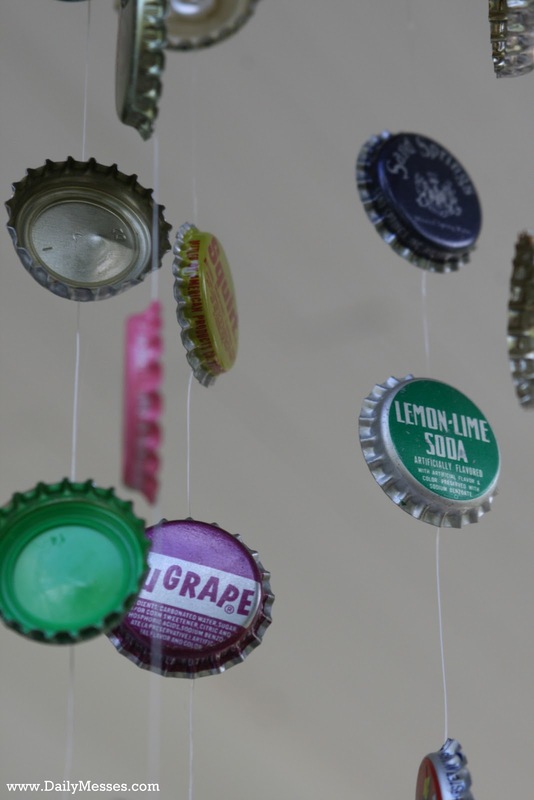 I never thought of using bottle caps to make a wind chime. :) I'll definitely give this a try.